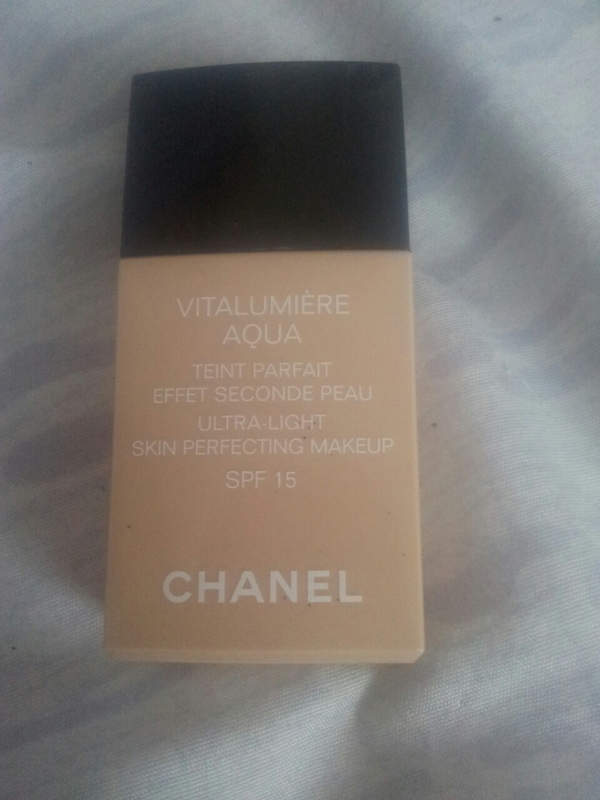 While I was at Singapore, I decided to purchase Chanel's Vitalumiere Aqua foundation in 20 Beige. I had always been meaning to purchase this foundation, but never really had the need - until I found out my mother had thrown out most of my makeup back in Melbourne (which included Urban Decay Anniversary and Naked palettes, Too Faced Naked and Dior foundation). It was far cheaper in Singapore than it was in Melbourne, but that may have also been because it was duty-free. The packaging is a plastic opaque bottle. I dislike the fact that the bottle is opaque and not transparent as you can't tell how much foundation you still have left. It contains 30ml or 1fl.oz. Since the bottle is a rectangular shape, it fits nicely into bag pockets or makeup storage units without it looking awkward. You'll need to shake the bottle up well before you squeeze some out otherwise it will come out separated. After shaking well, when you squeeze it out, it comes out feeling very light. I apply this to my face using my fingers. I prefer applying foundation with my fingers as it blends better than brushes and uses up less product. More often than not, brushes eat up some of the product and for that reason I'll use brushes only when I need a truly flawless application. The coverage is light to medium. It serves well for those who have blemishes that are fading and need minimal coverage. It is buildable to the point that you can cover slightly darker blemishes, but I would just use concealer instead. It doesn't look cake-y - even when another thin layer is applied and is wonderfully light on the face. I use this almost everyday - even more than my BB creams. I would repurchase this when I finish this bottle, but I have other foundations I'm interested in trying!